Disclosure: I was sent review copies from the publisher in order to write up an honest review. All views shared are mine and mine alone. Still looking for some great books to add to your child's Easter basket, or pick up and share before the Easter Bunny arrives on April 20th...less than a month away? 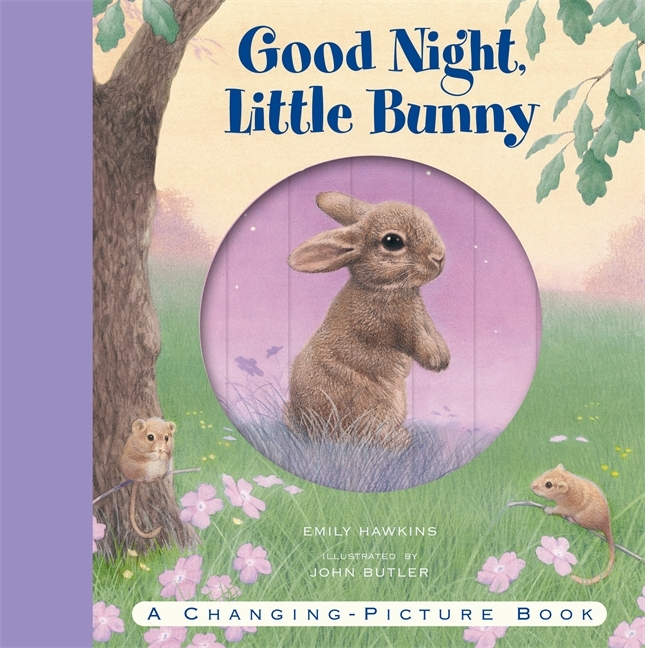 Then, I have some great books for you from Candlewick Press, that will get kids excited about all things Easter, including egg hunts and bunnies. Buy this paperback book now for only $4.99. "Tuck this in an Easter basket! Maisy is making and hiding treats for a backyard hunt- and needs kids to lend a hand. Maisy's beloved sticker books - now with fresh new cover designs - are sure to keep fans busy through the holidays and highlights of the seasons." I have lost count on how many Maisy book reviews I have shared on my blog. If you have little ones, then you probably have seen Maisy books at the store, the library or even on your child's bookshelf. My girls love the Maisy series, which is about a mouse and her friends. Many of the books are sticker books, which let children make their own stories by placing the removable stickers on different pages, based on the short easy-to-understand story you share with them. With colorful illustrations throughout, kids will fall in love with Maisy, especially when they read this book, which is about Maisy's Easter Egg hunt with her friends. My girls loved being apart of the story, by helping Maisy hide the chocolate bunnies and eggs. And, when it came time to find the eggs, Savannah had a blast placing the stickers throughout before letting Bella point them out on each page. This book sure did get the girls excited about Easter and the upcoming Easter egg hunts. 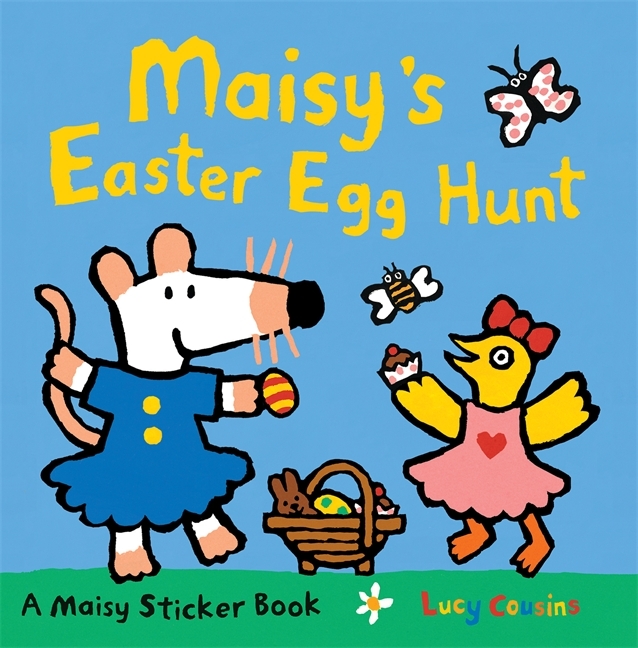 Other fun sticker books in the Maisy series include "Maisy at the Beach," "Maisy's Garden" sticker book and other seasonal themed books for holidays like Christmas, Valentine's Day and even Halloween. Buy this hardcover book for only $12.99. Lift the flaps and watch the pictures transform in this bedtime adventure. "Come with Little Bunny on a nighttime adventure through the forest. Open the flaps to change the pictures along the way, revealing some woodland friends who help Little Bunny conquer his fear of the dark. Adorable illustrations and a heartwarming story combine to make this a perfect book for bedtime." The dark is useful and fun, but it is also a great time for snuggling up with family and sleeping. What a cute message this lift the flap motion book shares with little ones. Children will be amazed as they help you lift flaps to see pictures transform right before their eyes. I have never seen a book like this, and was amazed myself at this neat feature. Buy this board book for only $4.99. 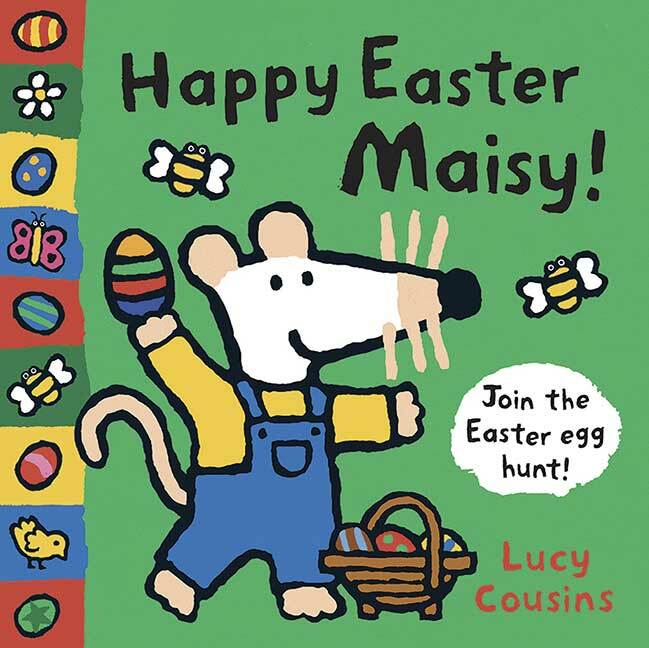 "If it's Easter time, you can bet that Maisy and all her friends are ready to collect some eggs! First Tallulah, Eddie, and Cyril help Maisy paint the eggs lots of different colors. Then it's Charley's job to hide the eggs in the garden, and the hunt begins. Maisy's loyal fans will love to join her in a simple adventure that helps make the holiday special. Slip a new Maisy board book inside a little one's basket for a holiday treat." Similar to the "Maisy's Easter Egg Hunt" sticker book I shared above, this is another cute Easter themed book in the popular Maisy series for kids. But, instead of stickers, this is a sturdy board book made especially with little ones in mind. The story is similar to the sticker in that Maisy and her friends are getting ready for an egg hunt. But, instead of hiding chocolate bunnies, Maisy and her friends hide eggs they have decorated. Once all the eggs are hidden, then the hunt begins. Maisy and her friends run around searching for hidden eggs to fill their Easter basket with. Once all the eggs are found, Maisy and her friends gather and with each other a Happy Easter! This is a great book for little ones, as the story is easy to follow up and not too wordy. And, the colorful illustrations really keep young children engaged, as they take in all the different details from the characters outfits to the scenery and more. My two year old loves pulling this board book from the shelf to flip through on her own. And, even with the rough play this book has seen, it still remains in great shape, which I love. 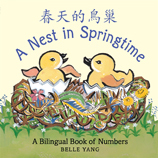 I hope you will take a look at the above books as well as other Easter/Spring themed books Candlewick Press has to offer. 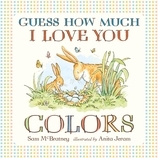 All books from Candlewick Press can be purchased through many online retailers including Amazon.com and RandomHouse.com, as well as found at local bookstores. Stay tuned the end of this week, when I will be sharing other great new releases from Candlewick Press as part of my "Welcome in Spring with a Good Book Series." I will be sharing a selection of book for children of all ages to enjoy, including look and find books.